With the winter season fast approaching, it’s only practical that we make the necessary preparations for the onset of snowfall and slippery roads. While the white flakes are a joy to have, in excess they can be really harmful to motorists, especially those who prefer motorcycles to cars. Vehicular accidents happen frequently enough during ideal road conditions, but they are more likely to happen during the winter season because of many reasons. These reasons include slippery roads and poor visibility. Sometimes even the cold itself is going to cause harm to your motorcycle if it isn’t stored properly. 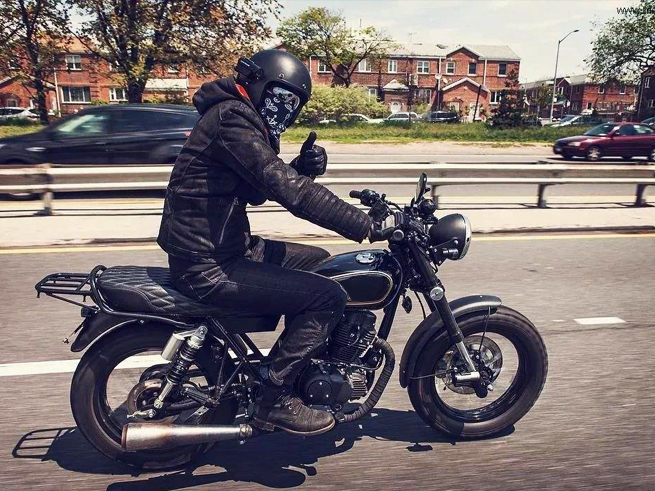 So, how exactly do you ride your motorcycle safely during the winter? While this may be one of the more obvious things to take note of, many of us seem to forget this simple tip because, whether we admit it or not, going fast on a motorcycle is part of the fun. Any rider can speed up, but the real test of skill is being able to maintain control of your motorcycle even at low speeds. When you ride your motorcycle, your tires heat up after some time spent riding. This heat results in tighter traction, allowing you to control your motorcycle better (because heat causes your tires to expand). However, during winter, the heat that you generate from use dissipates faster than it is generated when you come to a full stop (and trust me, if you’re going to ride safely, you’re going to have to do this often). You’re not going to have the innate advantage of having your tires heat up as you ride, so it’s best to check and maintain your tire pressure regularly during the colder months. Alternatively, you can also invest in winter tires for your motorcycle. Preparation has two aspects to it. One is in being able to prevent motorcycle accidents from occurring, and the other lies in how to react properly to an accident. With the latter in mind, keeping a few key contacts handy is going to save the time and effort of having to search online for the services that you need. These key contacts can be your local towing service, your lawyers, and your local motorcycle repair specialists. Riding through a bad storm is not recommended, and the main reason is that visibility is going to be reduced to nil. And while you can say that you’re going to be able to navigate through the blinding white, there are many other factors that might cause an accident, the most common of which are incapable drivers, sharp turns, and black ice. Seek shelter and wait it out. Wherever you’re going, it can wait. The important thing is that you get there safely. Previous: How do I know when my bike needs new tyres?